Ready to bring a little sunshine into your life? Well then, take the lemon peels left over from your newfound gummy star addiction and whip up a mouthwatering seasoning, flavoring extract, luster-boosting furniture polish or all-purpose cleaner! It’s a great chance to flex those expense-busting DIY muscles without investing a lot of hands-on time, so let’s get started, shall we? Here are nine ways to use leftover lemon peels . . . 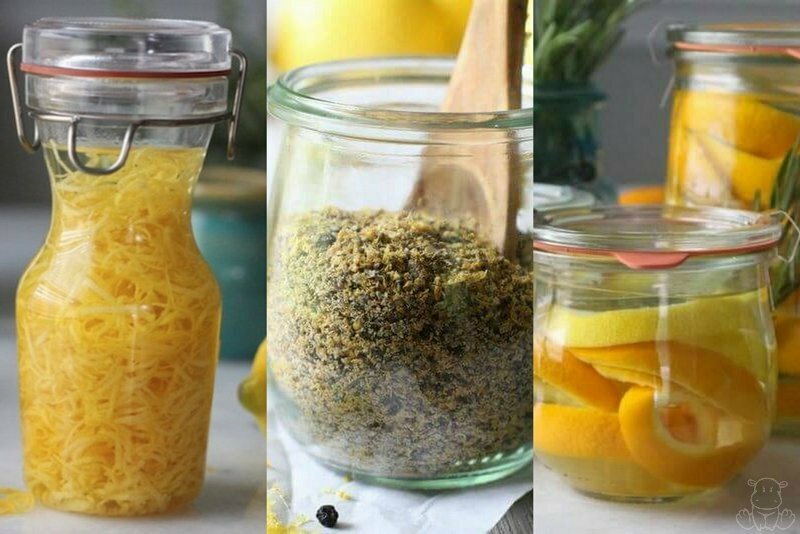 Lemon peels and vodka are all that are needed to create a lemon flavored extract for poppyseed muffins, lemon bread with vanilla glaze, and chewy lemon and coconut macaroons. 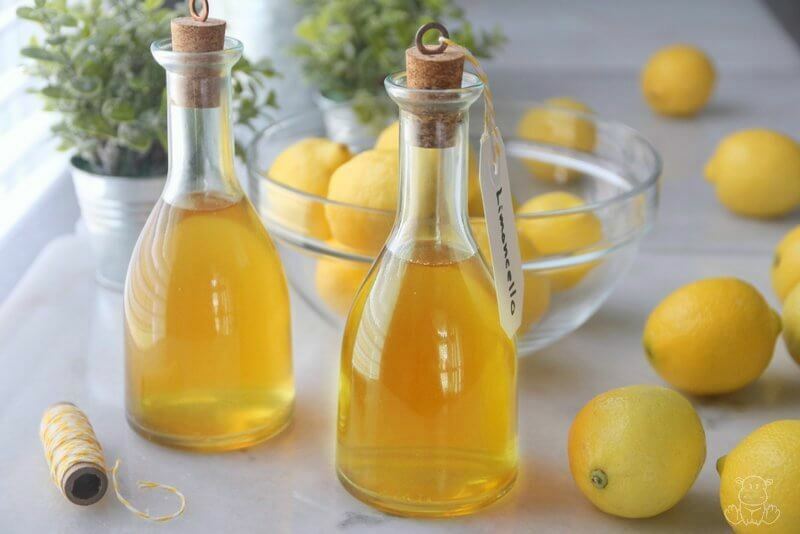 Get the recipe for lemon extract here. The bright flavor of lemon in this seasoning melds perfectly with the deep, spicy notes of peppercorns, and it’s super easy to make. I don’t even bother with drying my lemon zest in the oven – I just let them dry on a towel overnight and then grind them up in a coffee grinder the next day. So good with chicken, seafood, and roasted veggies! 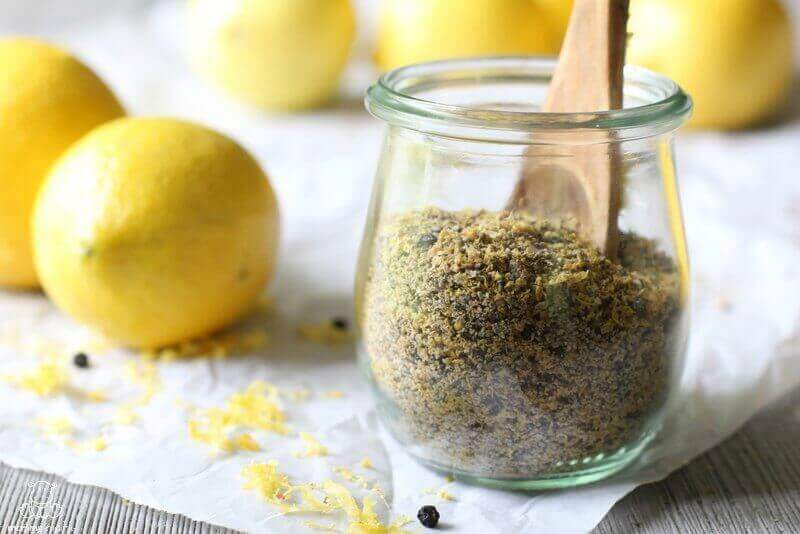 Here’s how to make my easy lemon pepper seasoning. Turn your leftover peels into an inexpensive, all-purpose cleaning vinegar that’s perfect for kitchens and bathrooms, removing buildup and grime, and more. Wash and dry lemons. Next, using a vegetable peeler, cut thin slivers of the yellow skin in long ribbons. (Or if you have a zester, use that!) Make sure not to peel off the bitter white pith, just the outside. 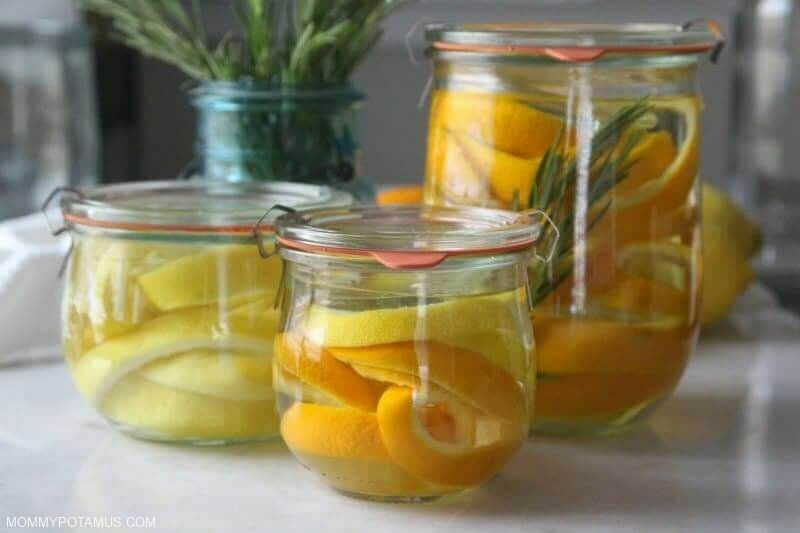 Pack the peels snugly in a jar, then pour in just enough olive oil to cover. Seal the jar tightly and place in a dark cabinet for 1-2 months, shaking every few days. Strain peels and pour oil into a jar. Store in a dark cabinet or the fridge. The lemony tartness of this limoncello recipe is balanced with just the right amount of sweetness for a smooth, refreshing after dinner digestif. It was likely first concocted in Italian monasteries and convents, and has long been used therapeutically to support digestion after a heavy meal. Make a scented simmering pot – Throw them in a pot and simmer during the winter months to replace lost moisture from the air. Add a little rosemary for extra fragrant goodness. 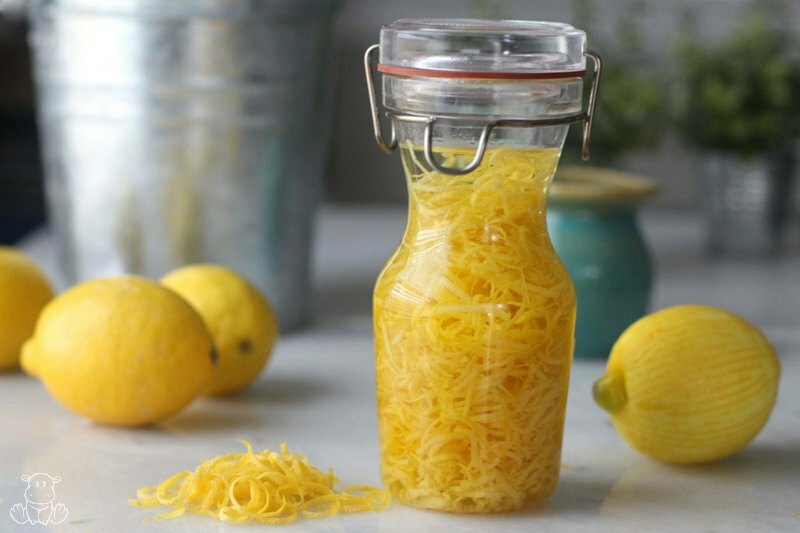 Make candied lemon peel – Find a recipe for naturally sweetened candied lemon peel here. Make tea – Let the lemon peels dry and brew them into a tea with mint leaves or dried hibiscus. 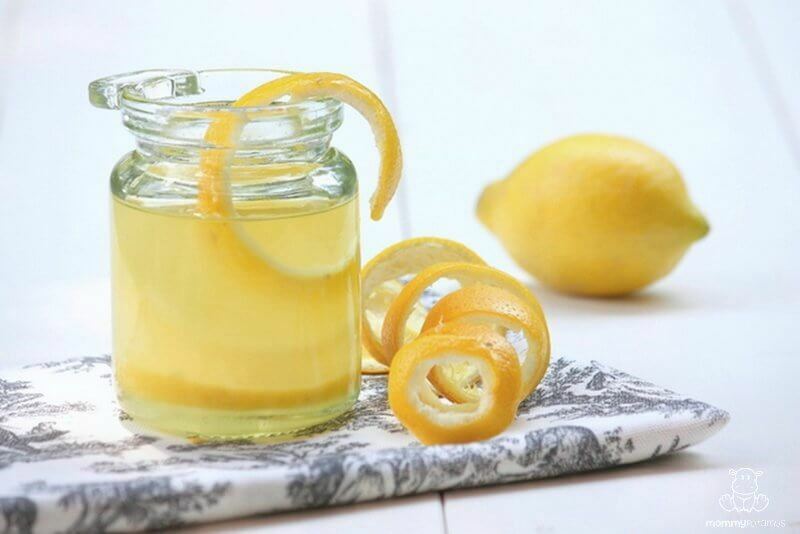 Great ideas for lemon peels! I also make a furniture polish with lemon and orange peels, and I infuse vinegar with the peels to make an all-purpose cleaner. Love this! 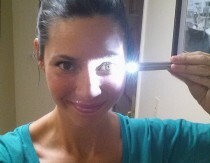 Can’t wait to try the skin brightener. The lemon salt mixture is fantastic – I gave some to my sis last year and she came looking for the recipe not too soon after! The lemon scent isn’t very strong, though, so you’ll probably want to add some essential oil for fragrance. Hi Caroline! 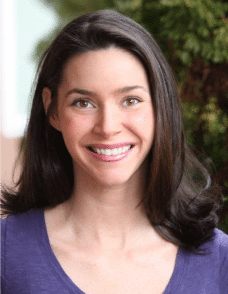 I am no expert, but based on what Dr. Campbell-McBride recommend to test for food sensitivities (by putting them on the skin and watching for a reaction) I personally would avoid them until some more healing has taken place. Can you handle oranges? They have very similar benefits! Thanks for all the wonderful ideas! Love it! 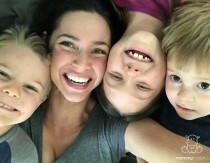 You’re awesome, Heather! Thank you, thank you, thank you! These are great! Lemons are one thing I buy year-round even though they’re not local, but with these infusions I can cut back and still get my lemon fix. I love putting lemon zest in grain salads (farro salad with basil, cherry tomatoes, feta and cukes) and with honey in whipped cream. I have been using the lemon rind for giving a tangy flavor to my cakes for as long as I can remember. Had no idea we could do so much out of them! I also use the left over lemon (after squeezing) to lighten the dark underarm patches. All you got to do is rub the darkened area with the squeezed lemon twice a week. Do limes work as well? Love these recipes! So excited to try! 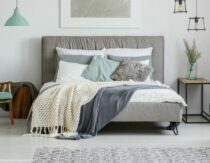 I haven’t tried them on furniture but I think they would definitely work for the majority of the uses I listed! I just came across your blog, and I love it! Thanks, Lyd! So great to “meet” you! Hi, just made a batch of lemon AP cleaner (so happy to be able to recycle lemon peel waste!!! ), my husband posed a question, he wants to double check that this cleaner is ok to use on plastic surfaces ie shower cubicle walls and plastic toilet seats etc and it doesn’t discolour the plastic (he thinks it might turn the surface a bit yellow???). I also read somewhere else the same recipe but it said once you’ve strained it you then dilute with 50% water? Hi Michele! I have never noticed any discoloration after using it. Hope that helps! Awesome, thanks for the reply. Am I suppose to dilute the mixture with 50% water after straining? – thanks. It’s up to you. Some prefer to use it diluted, some use it straight. Do you think I could use this method, using another oil, to add to homemade body products (lip balm, lotion, solid perfume)? I don’t have lemon essential oil and wondered if this would be a good alternative. For some silly reason I thought my coconut oil would stay liquid after making the oil via stovetop. All the coconut oil I’ve found locally is solid at room temperature…anyone have any suggestions? Just pinned as favourite post on Pinterest. I’m interested with your idea to make lemon/orange peel infused oil. 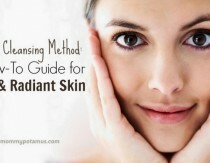 All people here want to have brighter skin, is it really can brighten skin? I know that lemon juice will, but I still doubt that lemon infused oil will brighten skin. Vitamin c as the natural brightening agent is not fat-soluble. Is it really this infused oil will lighten skin? I wish to use the lemon peels powder for my skin do I just grind the peels and apply the substance to my face?? Since coconut oil is solid at room temperature, does it still work for a cold process infusion? Wonderful, I have been throughin away lemon peel but not any more thanks to you I love lemons. Thank you so much. Can I use Himalayan salt (pink salt) instead of the sea salt for the face scrub? Yes, as long as it is very fine. Lemons make a great addition to fire cider vinegar. Just cut up a lemon and add twice the amount of raw apple cider vinegar in a jar, put the lid on and put in a dark cool place for at least a month (I’ve left them much longer). It will mold if you don’t have enough liquid. When you are ready to make your fire cider strain and add it to your other ingredients. Hot pepper, horseradish, thyme, rosemary, onion, garlic and ginger. Basically immune boosting foods you have available. Oh and raw honey to smooth it out. There are lots of ideas out there. Bastyr university has a recipe. remember you are feeding a scoby and it will form a lemon yellow mother on top, this is a good thing and tells you the microbiome is healthy. Use when you need a pick up or are wanting to avoid getting sick. Add a little oil for salad dressing. I tend to add it to hot water. 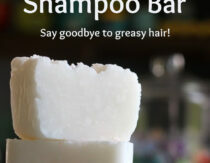 Prev Post Want To Reverse Your Eczema? Read This!